This post was done in partnership with Wirecutter, reviews for the real world. When readers choose to buy Wirecutter’s independently chosen editorial picks, it may earn affiliate commissions that support its work. Read the full article here. Few things are as awe-inspiring as being out under a clear night sky, looking up, and gazing at a seemingly infinite array of stars overhead. So we gathered 10 telescopes (and one pair of binoculars), and after five months of star parties, we think the Celestron NexStar 5SE is the best telescope for a curious amateur. It gathers enough light for you to view the best features of our solar system, and it also gives you enough power to begin to explore deep-sky objects, a feature usually reserved for much more expensive options. In addition, this scope has an electronic GPS database that is preloaded with almost 40,000 celestial objects, and after you calibrate this model, it can scan the skies for you. You’ll never be left wondering what to look at next. These telescopes are for beginning astronomers, and designed to help you become familiar with the night sky. Using one of these scopes, you can start with a look at the moon, move on to the planets of our solar system, and then venture on to the “deep sky” to examine star clusters, nebulae, and galaxies. We wanted to find scopes that had the appropriate range to start a new astronomer out and then keep them involved. 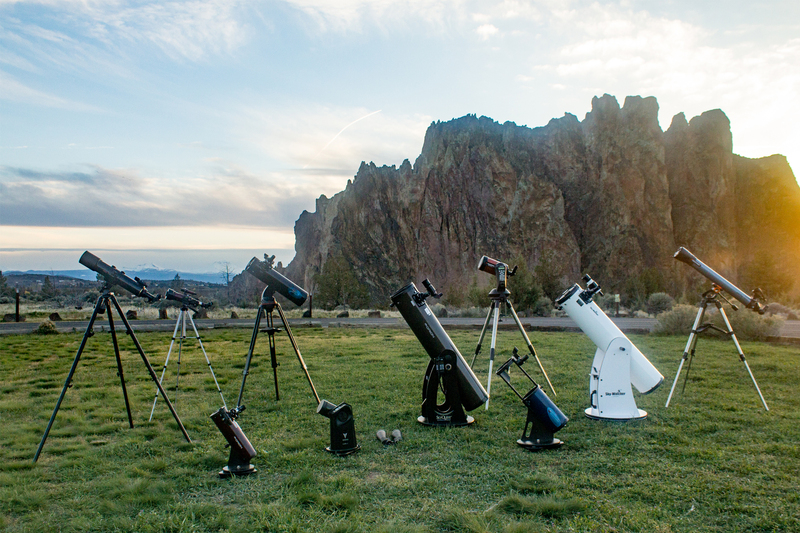 Eventually, we selected 10 telescopes to test over the course of five months in Oregon. We timed how long it took to set up each telescope, and then tested stability, clarity, and user-friendliness with a 12-person test group. We also performed a Ronchi eyepiece test, at the suggestion of the experts we spoke with, to test each model’s optical quality. The Celestron NexStar 5SE Schmidt-Cassegrain telescope is our top pick due to its all-around accessibility and ease of use. Its primary 5-inch mirror offers crisp, intimate views of the moon and bright planets, and provides an entry into views of distant galaxies and star clusters. It includes a 25mm eyepiece, as well as an ultra-sturdy steel tripod that attaches to the optical tube without the need for tools. It’s easy to disassemble and transport, and weighs about 27 pounds. This telescope operates on a fully computerized system with a handheld controller to aim the telescope at over 40,000 nighttime objects. In contrast with our experience with some competing models, we found that this controller worked seamlessly, offering micro adjustments and responsive tracking with the attached controller system. However, the computerized features require eight AA batteries, which aren’t included. 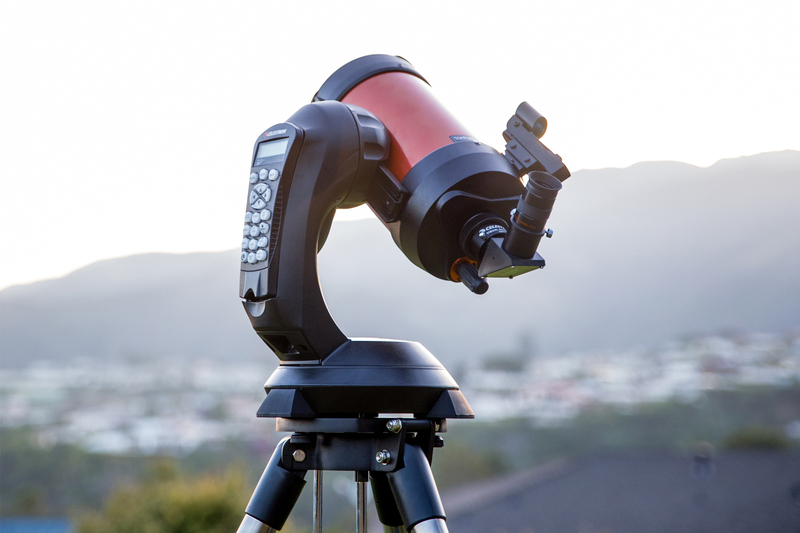 Finding a high-quality telescope on a budget can be hard, so when we kept hearing about the Astronomers Without Borders OneSky Reflector Telescope (manufactured by Celestron), which comes in at under $200, we had to give it a try. 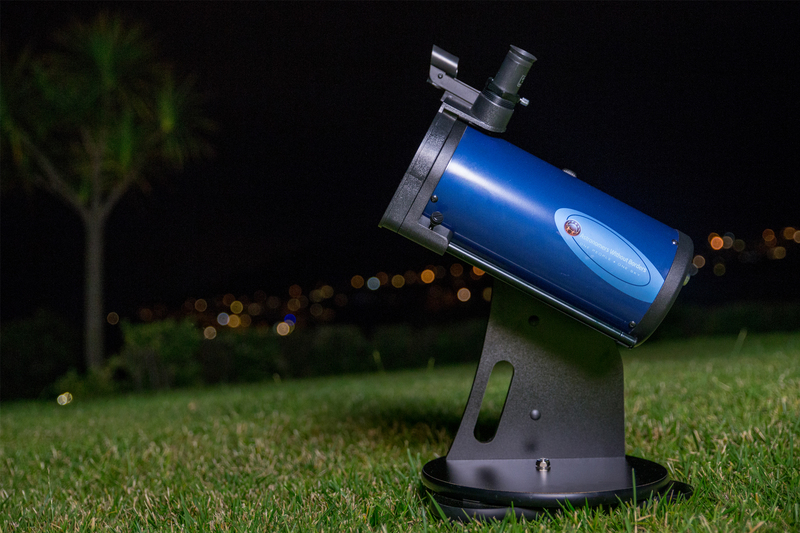 This telescope is manufactured especially for sale by the nonprofit organization Astronomers Without Borders, whose profits go toward expanding astronomical scientific educational programming in underserved countries around the world. During our tests, this model not only excelled in image quality, providing great views of Saturn’s rings, Jupiter’s moons, and faint detail in the spiral arms of the Andromeda galaxy, but also offered the best mix of portability and ease of assembly and use for its price. 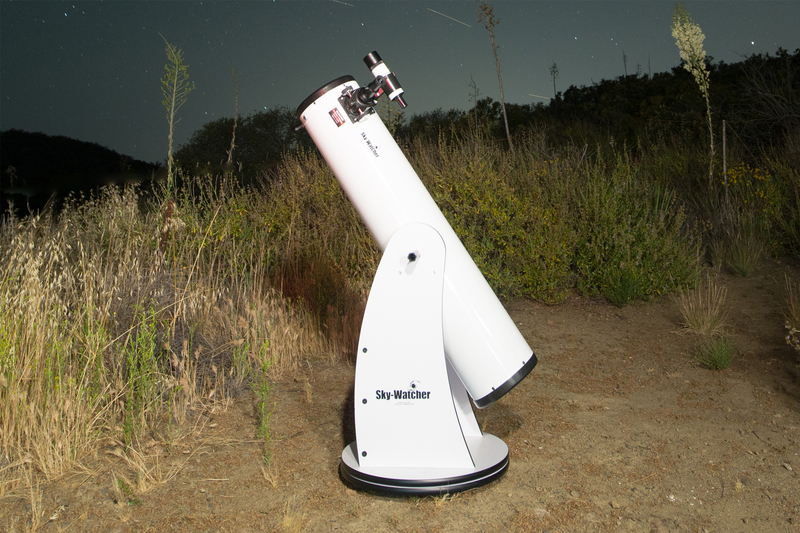 The Sky-Watcher Dobsonian does not come with any computerized component, but we think the superb optics of this pick make it a good choice for people who want a taste of a high-powered scope but don’t need or want the hassle of a computerized mount. This type of telescope, commonly called a “light bucket,” offers exceptional image quality and light-gathering capability for the price. LawBreakers, the gravity-defying shooter from Gears of War creator Cliff Bleszinski, is on borrowed time. The game has never had a huge player-base, even after doling out new game modes and offering up free-play weekends. Developer Boss Key took to its blog to say as much. “The fact is LawBreakers failed to find enough of an audience to generate the funds necessary to keep it sustained in the manner we had originally planned,” the post reads. Where the game goes next isn’t clear, but what you’re predicting probably won’t happen. “While a pivot to free-to-play (F2P) may seem like the easiest change to make, a change of this magnitude takes publishing planning and resources to do it.” When it was first announced, LawBreakers was going to be a F2P game, but the developers were worried it’d end up limiting the audience because people thought they’d get nickel and dimed to death. Of course, going F2P isn’t a silver bullet for success either — just ask Turtle Rock, makers of the failed online shooter Evolve. That doesn’t mean LawBreakers is going away, though, or that Boss Key is abandoning the game wholesale; the game will continue to be supported in its current state. A second life may arrive, Boss Key writes, but in the meantime it sounds like the studio’s efforts are focused on a passion project that the studio is “in complete control of.” That wording makes it sound like there were at least a few arguments between the studio and a higher power, potentially publisher Nexon. Previously, Nexon blamed (PDF) the popularity of PlayerUnknown’s Battlegrounds for impacting sales and the amount of players. Is Fortnite the next scapegoat? Earlier this week, reports surfaced that the Department of Homeland Security (DHS) had detected activity in Washington DC that was consistent with the use of cell-site simulators, or Stingrays. The findings were a result of a short-term trial that took place last year and they suggest that foreign powers could be using these unauthorized devices to monitor officials, travelers and residents in the US capital. In a letter to Senator Ron Wyden, the DHS said that it didn’t have the resources to continuously monitor the use of such devices but it did share its findings with “federal partners.” Following those reports, three US Representatives have now sent the FCC a letter demanding the commission take action against unauthorized Stingray use. Stingrays work by tricking cell phones into pinging a signal off of them instead of a cell tower. The devices can then hold onto that signal, allowing those using the device to track that phone and in some cases monitor calls and messages. In 2014, then FCC Chairman Tom Wheeler said that he had established a task force to combat unauthorized use of cell-site simulators, but a former advisor to Wheeler said that the task force had little political support. An FCC spokesperson told the Associated Press this week that the agency’s role was to certify these devices, not require wireless carriers to protect their networks against them or crack down on their use. The Representatives requested a quick response from the FCC and Chairman Ajit Pai. There’s no doubt that Facebook Live has grown a lot in the two years since it launched, but by how much? Facebook is eager to share a few stats. The social network has chalked up more than 3.5 billion broadcasts since 2016, with the daily average continuing to double year over year. And crucially, a large chunk of the human population has seen them — the site claims that nearly 2 billion people have watched Facebook Live broadcasts. When the company achieved 2 billion total monthly users in 2017, the odds are high that you’ve caught at least one live stream. The tech giant also noted that broadcasts from verified Pages have jumped 50 percent in the past year, and that “hundreds of millions” of people have gone live. The one certainty: Facebook Live isn’t going away. Although Facebook’s emphasis these days tends to be more on professionally-shot live video than on spur-of-the-moment amateur video, the data shows that it’s now an integral part of Facebook’s media experience. The main concerns are whether Live will continue to grow (ironically, the biggest challenge may be Facebook’s own Instagram), and whether it’ll properly address social issues as they come up. This week, NASA announced that it has updated its commercial crew contract with Boeing. Specifically, Boeing is one of two contractors that is building a crew vehicle that will eventually be able to carry astronauts to and from the International Space Station. The change surrounds its first test flight — including the option to extend the flight (from two weeks up to six months) and potentially adding a third crewmember. In other words, the first test flight wouldn’t be a test anymore. This isn’t a huge surprise. Back in January, the GAO released a report that said that human flight certification of Boeing and SpaceX rockets would likely be delayed until the end of 2019. NASA currently has seats for astronauts on Russian Soyuz spacecraft through the fall of 2019. After that, well . . . Houston, we have a problem. Russia doesn’t have any more Soyuz seats to offer us for purchase, so that leaves a significant gap between when we will need operational human spaceflight capabilities and when we will have them. The only solution is to use SpaceX and Boeing’s test flights as actual flights, in which we carry humans to and from the ISS, rather than as the test flights they were originally designed to be. Changing the contract expands NASA’s options as the clock ticks down. It’s not ideal — the first test flight of a brand new spacecraft should be just that, a test. But given the myriad delays that have occurred in getting our commercial crew program up and running, it’s not surprising that NASA would take this step in order to give themselves just a little bit of breathing room. It looks like The Weather Channel’s broadcasts are about to get a lot more immersive. The channel’s parent, The Weather Group, is teaming up with The Future Group, powered by the Unreal Engine, to present broadcasts in mixed reality. And, quite frankly, it looks pretty cool, judging from the pictures included with the blog post. The Unreal Engine powers quite a few cutting edge video games. Last month, Engadget Senior Editor Edgar Alvarez took a look at Siren, a digital personality created by Epic Games. Thanks to the Unreal Engine, it’s hard to see the line between CGI and reality. And Nintendo has apparently embraced Unreal, while Tim Sweeney, the co-founder of Epic Games, hopes that the Unreal Engine will be behind a cross-platform gaming revolution. It’s a powerful tool, and it will be interesting to see what The Weather Group does with it. Matthew “Burns” Potthoff retired when he was 24. He’d spent 11 years building a career as a professional Call of Duty player, and when he realized his time in front of the screen was up, he made a graceful transition into eSports management. Today, he’s 26 and he works behind the scenes with eUnited, a North American eSports squad with teams across Call of Duty, Counter-Strike, Gears of War, Smite and PUBG. Potthoff’s story sounds more suited to someone in their 50s or 60s — traditionally, retirement is something that happens after decades of work in a chosen field. However, eSports is a new, rapidly evolving industry largely staffed by young people with big dreams. Potthoff’s career mirrors eSports’ recent rise to mainstream fame, but it also serves as a cautionary tale for new players, many of whom are diving into the scene straight out of high school — or even before. Potthoff’s dad drove him to his first eSports tournament when he was 13. It was a small, local competition in Chicago in 2005, featuring matches for Halo and Call of Duty — Potthoff competed in both and performed well enough to collect a prize at the end. However, he didn’t receive the reward he expected. “The prize was not what was projected on the website, so my dad got extremely mad and thought eSports was like a scam,” Potthoff says. In 2005, professional gaming was not an established fact of the Western video game world. While fans hosted tiny competitions across the US, it would be four more years before League of Legends, a driving force in modern eSports, would even exist. It would be six years before Dota 2, Valve’s legendary eSports title, would break prize-money records with its first $1 million tournament. Twitch wouldn’t be around for six more years, either — in 2005, most folks were still baffled by the idea that watching people play video games could be entertaining. But Potthoff, a teenager growing up in the Midwest, saw a future in professional gaming. Despite some shady practices at unregulated tournaments in those early days, he kept entering competitions and performing well. In 2011, he won the Modern Warfare 3 Free-For-All National Tournament and took home $25,000. Potthoff quickly found his game in Call of Duty. By 2012, just after the launch of Modern Warfare 3, he’d formed his own eSports squad, DeathWisH. He was 20. “But then I realized that I wanted to go to college instead and try to make something for myself on the business side,” Potthoff recalls. He kept playing Call of Duty while in college, but Potthoff focused on earning a bachelor’s degree in business entertainment from Full Sail University. “My mindset going to school was to get my degree out of the way so I could focus on pro gaming,” he says. Robert Morris University was the first school to offer an eSports scholarship in 2014, and today the National Association of Collegiate eSports (itself established in 2016) recognizes competitive gaming programs at more than 60 colleges nationwide, while many more schools have unofficial yet successful clubs. But in 2012, it was impossible for Potthoff to know how big eSports would become in just a few years. There was no stable career path toward playing games professionally, so going to college was viewed as a separate, responsible, pursuit. If the scene back then had looked like it does today, Potthoff probably would have taken a very different route. The eSports industry is stabilizing. Leading games like League of Legends and Overwatch have instituted minimum player salaries — $75,000 a year for League and $50,000 for Overwatch — a franchise system, and other protections for their young competitors. However, the industry is still fractured: Call of Duty, for example, doesn’t have similar rules in place. 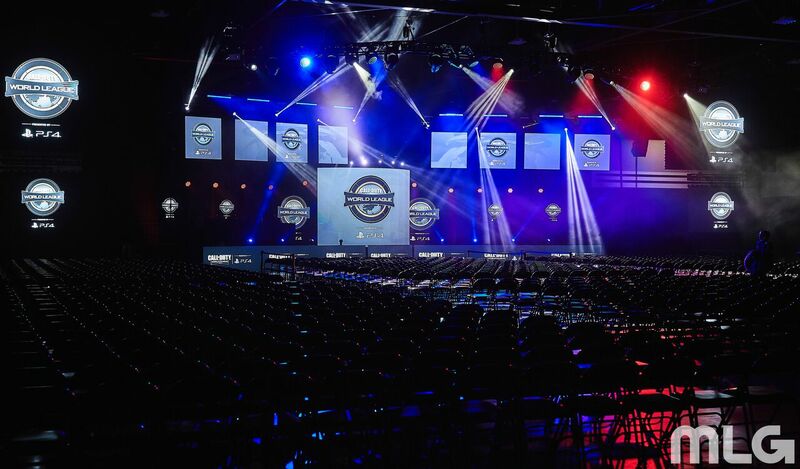 This lack of stability has sparked tension between some players and Activision, the developer behind Call of Duty and the Call of Duty World League. After college, Potthoff played professional Call of Duty for roughly three years under the gamertag “Burns” and “Burnsoff.” He achieved success and felt the sting of failure on a lineup of big-name teams, including Team Curse, Cloud9 and Team Liquid. It was his time on Team Liquid, combined with the lack of stability for teams in the CWL, that finally pushed Potthoff into retirement at the age of 24. 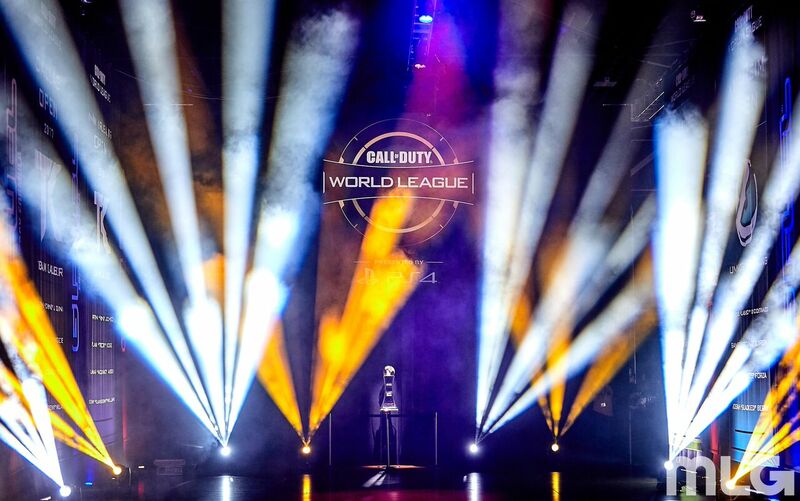 The CWL Pro League uses a points and relegation system, meaning all teams have to compete to secure long-term spots in the league, which this year will pay out $1.4 million across multiple events. Teams with the most Pro Points (earned by competing in CWL events) are invited to the Pro League. No organization is guaranteed a spot in the CWL, so each year, players can’t bank on competing for part of this prize pool. League of Legends and Overwatch threw out the relegation system in favor of franchising last year, when they implemented minimum salaries. In 2016, Potthoff helped Team Liquid qualify for the CWL Stage 1 Relegation round, where they faced off against another eSports powerhouse, H2K. In a best-of-seven tournament, Liquid won the first three games and needed just one more victory to earn a spot in the CWL. H2K won the next four games. Potthoff competed in a few more tournaments but placed between the top 16 and top 24, not high enough to reignite his career. “When you place between those placings three or four times you kind of know that your time is coming up,” he says. Potthoff was 24 years old. This is the same age that many people believe marks the decline of cognitive-motor functions essential for high-level eSports play, as cited in a 2014 study from Simon Fraser University in British Columbia. However, Potthoff doesn’t buy into this study’s conclusions. Potthoff was growing up, and for him, that meant he’d grown out of the professional eSports-player lifestyle. In 2016, he joined eUnited and worked his way into a Head Coach position. Today, he’s co-General Manager at eUnited, helping build and train teams, putting his college degree to work. Now, when Potthoff is recruiting new talent — including four underage players who recently signed to the team — he tries to infuse balance into their lives. When it comes to a career in eSports, Potthoff doesn’t see any downside to diving in as early as possible. College isn’t essential to succeed in the industry, and opportunities can pass players by in a heartbeat. There’s a limited window for joining a professional team, he says, and starting early not only gives players time to hone their skills, but it also leaves them time to pursue other goals while they’re still young, including school. 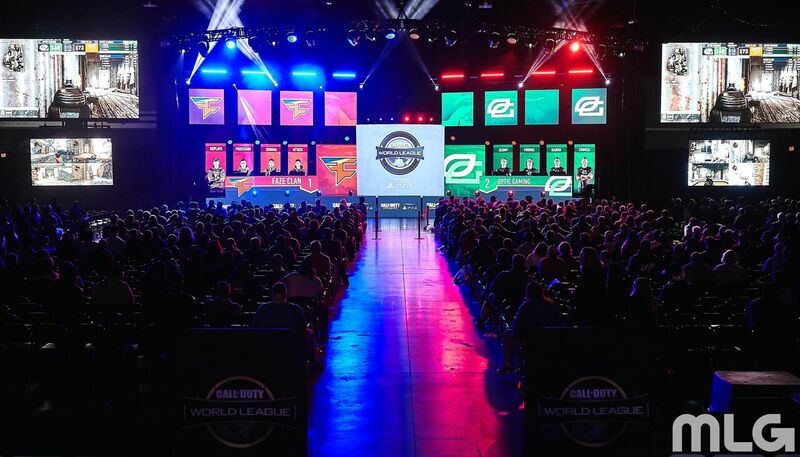 The 2018 CWL Pro League is underway and eUnited is in the thick of it. After eight weeks, the team has secured a spot in the Stage 1 Playoffs. EUnited will kick off the Playoffs in a match against Rise Nation today, April 6th, starting at 4PM ET. Potthoff won’t be behind any of the controllers himself, but he’ll still be there, behind the scenes. Facebook hasn’t finalized how the ‘unsend’ feature will work, according to TechCrunch. One possible solution will be a timer set by the sender, and once it runs out, the message will vanish from both inboxes (this is similar to how Zuckerberg’s messages were retracted). But the company isn’t certain if they’ll use this method or a different one, or even if recipients will be notified when a message is ‘unsent.’ Regardless, the feature should arrive in the coming months. Facebook maintained that it was within its legal rights to preserve messages when deleting messages from senior staff, which it started doing in the wake of the 2014 Sony hack to avoid future leaks of correspondence. It’s unclear how long the company was deleting messages — just that they admitted to the course of action only after being confronted with evidence. Apple has formally objected the Environmental Protection Agency’s proposed repeal of the Clean Power Plan in the United States. In a letter submitted to the agency today, Apple said repealing the policy would subject the company and its manufacturing partners to increased investment uncertainty in relation to clean energy, according to Reuters. “Repealing the Clean Power Plan will subject consumers like Apple and our large manufacturing partners to increased investment uncertainty,” the California-based company said in a filing to the agency. Apple, which says it runs its U.S. operations fully on renewable energy such as wind and solar power, added that repeal of the plan would also threaten development and investments that have already been made in renewable power. The EPA proposed to repeal the Clean Power Plan in October 2017 after U.S. President Donald Trump mandated a review of the Obama-era environmental policy, which would have required U.S. power plants to reduce their greenhouse gas emissions to 32 percent below 2005 levels by 2030. Apple is the first company to publicly comment on the proposed repeal, which has yet to proceed due to legal challenges, according to the report. The policy’s elimination is said to remain a priority of the EPA’s administrator Scott Pruitt. Apple’s environmental website notes that 100 percent of the electricity the company uses to power its data centers, and 96 percent used by its facilities worldwide, comes from renewable energy sources like solar, hydro, and wind power. Many of Apple’s suppliers have also committed to using 100 percent renewable energy. Apple’s environmental chief Lisa Jackson served as the EPA’s administrator between 2009 and 2013 as part of the Obama administration. Twitter is making changes to its API on June 19, and third-party Twitter clients are worried about the impact and Twitter’s lack of communication about the issue. The developers behind popular third-party Twitter apps that include Tweetbot, Twitterrific, Talon, and Tweetings today teamed up to warn users about the upcoming changes and to hopefully spur Twitter to action. On June 19, Twitter plans to remove several streaming service APIs that are used by third-party apps. Disabling these APIs will prevent third-party Twitter apps from sending push notifications and refreshing Twitter timelines automatically. Twitter is replacing its current streaming APIs with a new Account Activity API, which is in beta testing, but third-party developers have not been given access. With access to the Account Activity APIs, third-party Twitter clients say they might be able to enable some push notifications, but Twitter has also provided no detail on pricing. Automatic refresh of the timeline is set to be disabled entirely. The developers behind Tweetbot, Twitterrific, Talon, and Tweetings are asking customers to contact the @TwitterDev account to correct the situation and to use the #BreakingMyTwitter hashtag to spread awareness.